Every year in the month before Christmas, Düsseldorf has a very special fragrance. The scent of Glühwein (mulled red wine), cinnamon cakes, gingerbread and beeswax lingers in the city center. The chestnut trees on Königsallee glitter with a thousand lights. 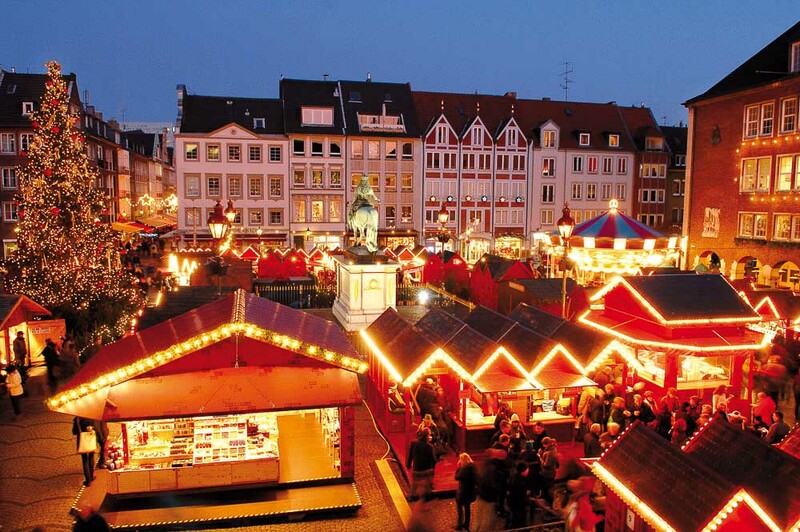 From the end of November to Christmas, the Christmas markets in the old town and on Schadowplatz transform Düsseldorf’s center into a Christmas wonderland, attracting many hundreds of thousands of visitors every year. Different theme worlds around Altstadt and Königsallee invite visitors to enjoy a pre-Christmas stroll through a city bathed in a magically festive atmosphere. Artist blacksmiths, wood turners, glassblowers and painters all offer their craft products against the stunning backdrop of the historic Rathaus (town hall) letting visitors look over their shoulder to witness their fascinating creations. The atmosphere particularly on the Sternchenmarkt (Starlet Market) is charged with festive energy, as crystals and sparkling stars transform the square into a winter wonderland of dreams. The music pavilion on the Engelchenmarkt (Angel Market) at the Carsch-Haus, meanwhile, offers deliciously aromatic mulled wine to warm up, as golden angels across the square create a heavenly atmosphere. As in previous years, one of the highlights will be set up in front of Düsseldorf’s Schauspielhaus theatre. Framed by traditional wooden huts, the 450m² ice rink promises hours of winter skating fun. Those who enjoy the more placid side of life can taste their way through Christmas delicacies ranging from roast almonds to raclette. 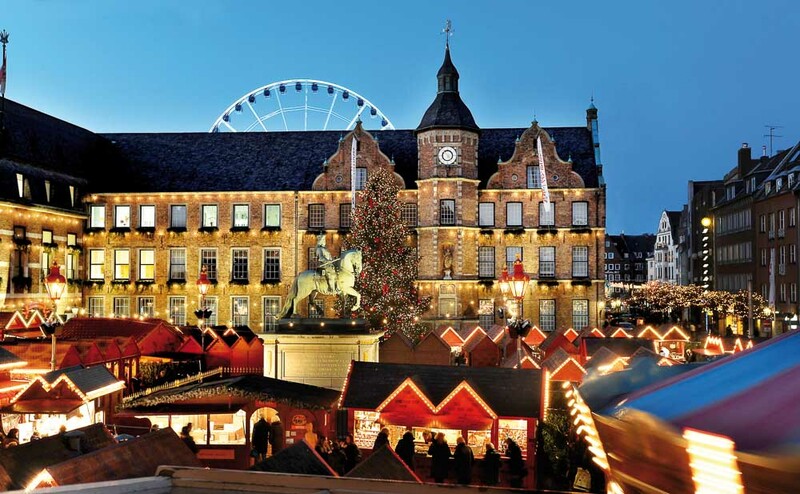 Düsseldorf’s Christmas market will be open Sundays to Thursdays from 11:00 to 20:00 and Fridays and Saturdays up until 21:00.